On Monday, October 26, 2015 Tufts Amnesty screened the 2012 documentary Gulabi Gang, a film about an Indian women's organization dedicated to combating violence against women. Held in conjunction with Tufts Film Series, the screening took place in Barnum 104, with about 22 people in attendance, including several students from Amnesty International programs at nearby high schools. After the film, attendees participated in a discussion about the roles of women and men as portrayed in the documentary. Tufts Amnesty was thrilled to host this event and attendees agreed the film was a powerful and thought-provoking one. 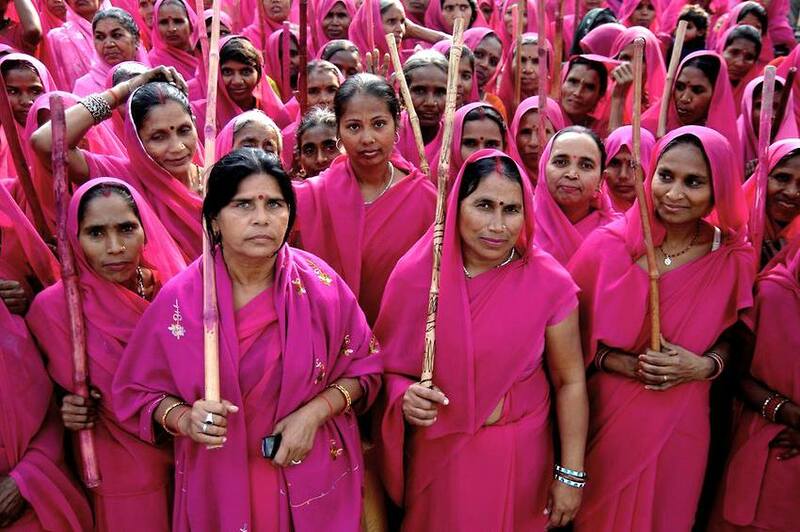 For more information on Gulabi Gang, see the documentary's IMDb page here.